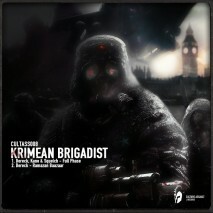 CULTASS008 - Krimean Brigadist | Joomla! CULTASS008 - For those of you who love the technoid stomping drum and bass genre and think that there has been far too little releases lately covering that field, we are happy to serve you a rattling two track release. A release that puts a hit on you. 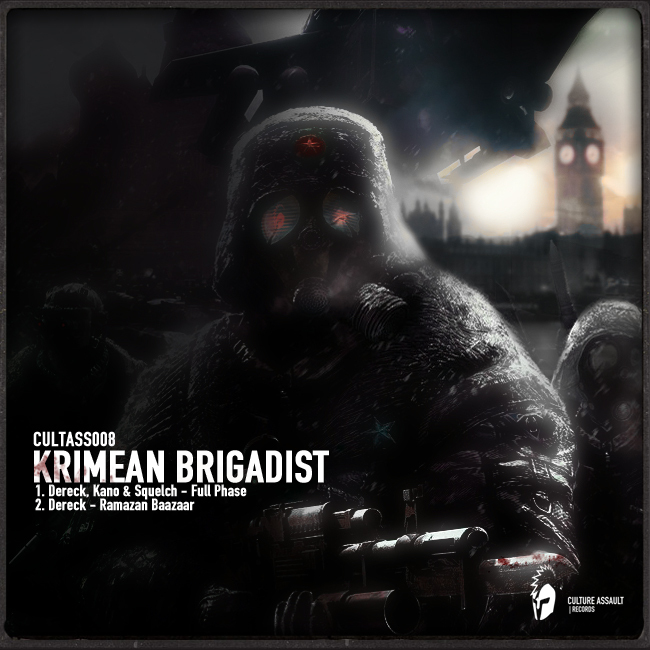 A release that puts A at odds with B.
Sonically one of the hardest projects the label has announced so far, the KRIMEAN BRIGADIST states where Culture Assault's journey is leading to: quality driven grim&bass. Full Phase: Kano & Squelch bid defiance to Dereck. UK vs Russia. Krimean Brigadists on the battle field of sonic realms. What left to say? A never ending struggle between soothing brithish basslines and marching russian stomperkicks scudded by a cohort of cold snaremachines. This is madness! This is Culture Assault. This is the Krimean Brigadist! Ramazan Baazaar is a one of those tracks that are putting you in irons right from the first second. Techy 4/4 kicks lead the way to a illusive vocal drop for just tearing down hell's gate unleashing a fierce stomper monster. Driven by that peenging arabic sounding vocal the tune rise to a second drop undermined by a outlandish synth. A journey back to the Krimean Fields of war. With all it's violence and spine-crawling brutality.